Oregon Senator Ron Wyden was recently named Chairman of the Senate Energy and Natural Resources Committee. And one of his first moves was asking the administration to investigate the royalties it receives for coal mined on public land. Coal mines like this one in Wyoming are drawing scrutiny from the Senate's Energy and Natural Resources Committee Chairman Ron Wyden, D-Ore. He questions whether they're paying their fair share of royalties for the coal they want to ship overseas. 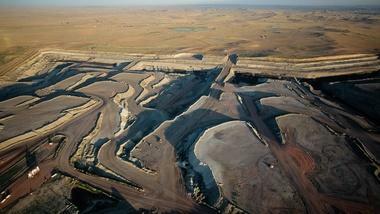 The Bureau of Land Management owns vast reserves of coal in Wyoming and Montana. Companies like Arch Coal and Peabody Energy mine it, sell it, and pay the government its cut. Wyden says it’s easier to calculate the government’s share when the coal is sold in the U.S. But coal exports are on the rise. Companies have proposed building five new export terminals in Oregon and Washington. Coal companies say they are playing by the rules. Arch Coal, one of the largest, told us in a statement it complies fully with royalty laws.